We begin Our Process with a thorough inspection of all exposed brickwork on your home. We do this because every job is different and each will have unique requirements. We must consider several factors before we start. The first of which is that it is possible that different workers mixed mortar for the bricklayers during the construction of your home. Different workers mix sand and mortar differently enough to make a difference in color. In many cases, the brick contractor uses different brands and types of mortar cement. The color and granularity of the sand also could have changed before the brickwork on your home was complete. Another factor we must consider is that mold and mildew can grow in the pores of brick and mortar. Colors differ depending on the amount of moisture, sunlight, and wind each area gets. Because of these factors, the color of the brick and the mortar will be different in different areas. These factors mean that we may have multiple color recipes. Before we can begin, matching replacement brick must be located. We will also need to work up a recipe for a mortar mix. This recipe will match the existing mortar, as much as possible, both in color and texture. We maintain a large inventory of replacement brick, but occasionally we will encounter a pattern we cannot match. 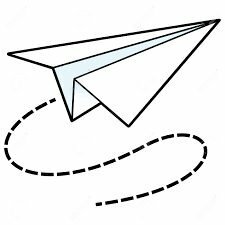 If we cannot find a match locally, we will have it shipped from other locations. We have accounts at numerous brickyards across the US, allowing us to obtain matching replacements quickly . We must take all of the above factors into consideration before we start our repair process. We will discuss with you the variables we are faced with and allow you to participate in all decisions in the repair process. Great! We are ready to start let’s move on to Step One of Our Process! Ok, we have performed all of the steps above, we have our replacement bricks in hand, we have one or more mortar match recipes based on the color and texture of the different areas. We will now prepare the damaged areas for our repair process. This step includes removing any damaged bricks. 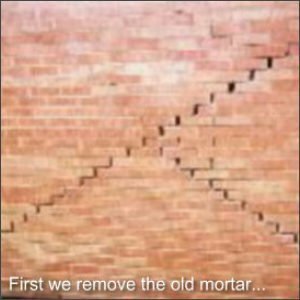 We will also remove all loose and cracked mortar. We will remove all loose mortar and grind out any other mortar to a depth of at least 1 inch to ensure that there is enough depth of new mortar to prevent it from prematurely popping out. We are just about ready to start the next step, but first, we must thoroughly clean all areas where we will be working. All loose sand and dust will be brushed or blown out of the mortar joints. In some cases, we will use water to raise the moisture content of the bricks to ensure that the mortar does not dry too fast. All of this is necessary to guarantee that the new mortar lasts for the lifetime of the surrounding masonry. At this point, we erect all scaffolding necessary to reach areas that are above ground level. On houses with multiple stories and chimneys, installing scaffold to meet our safety standards can take some time. At this point, all of the damaged bricks should have been removed. We will explain the replacement process in the next section below. Before we get to the replacement step we must make sure that everything is aligned properly. The existing brickwork may have shifted out of alignment for one of several reasons. 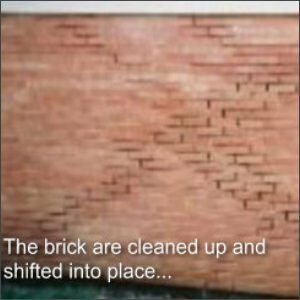 If the damage is caused by heavy winds or an object like a tree or a car impacting the brickwork, the bricks in the damaged area will probably not be in correct alignment. Misalignment caused by heavy winds can happen to chimneys and to brick walls that do not have enough wall ties that tie the brickwork to the wooden wall studs behind it. In some extreme cases to make proper repairs, it will be necessary to find the location of the studs behind the brickwork and remove bricks from the wall in multiple places to install the proper number of wall ties. There are other tasks that may also be necessary at this time. One is building a form for supporting archways that have cracked and are in danger of falling, possibly injuring someone. Another task that may be performed in this step is installing lintels. Some homes were designed with brickwork above two-door garages that lack center support. The span can be up to 20 feet in some instances. With age, the angle iron lintel above the garage doors that supports the brickwork will start to sag in the middle. This allows the brick above the door to also sag. This leads to cracks above the lintel where water can enter your house. In most cases, the lintel must be replaced with a stronger one and the brick above the lintel will need to be removed and replaced. Another task that may need to be performed at this time is to locate any areas where an expansion joint is needed. An expansion joint is a break in the wall that goes from the foundation to the top of the masonry wall. 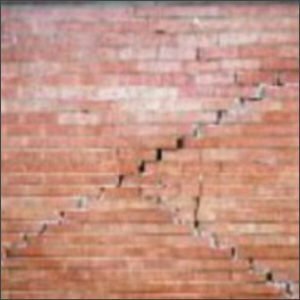 Expansion joints are usually needed on a long stretch of brick wall that does not have any breaks such as doors. All foundations will move to some extent over time, some more than others. If your foundation moves beyond the point that the brickwork can move with it, the brick will crack. Walls that face the hot afternoon sun can expand and contract, also causing cracks. Expansion joints allow the wall to flex without cracking. The prep work for the expansion joints will also be completed during this step. As was explained earlier, we grind the joints out to a depth of approximately 1 inch. This grinding process is necessary to ensure that the new color matched mortar has enough strength to last the lifetime of the brickwork. As you can imagine this leaves a lot of dust in the cracks and crevices between the bricks. 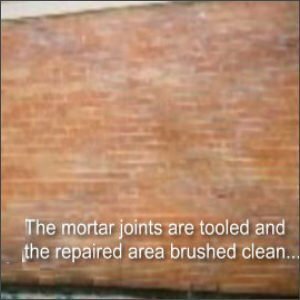 To make sure that the new mortar makes a strong bond to the new surfaces, the areas that receive new mortar must be very clean. Our cleanup process consists of several steps. First, we brush the bulk of the dust and loose materials out of the mortar joints. After brushing the joints, we go back and remove any larger pieces of mortar or broken brick that may still be wedged inside the areas that will receive the new mortar. Next, we use a blower to blow away any remaining dust and loose materials. The blower does a pretty good job but sometimes we have to flush some areas with water to get the surfaces clean enough for the next step. Finally, we have reached the point where we start putting everything back together again. First, we must consider several factors that might make it necessary to moisten the brickwork before we begin replacing bricks and mortar because we must prevent the new mortar from drying too fast. If the mortar dries too fast, it will not be as strong as it would have been if it were allowed to dry slower. We must consider the outside temperature, the humidity, and the porousness of the existing brickwork. Any or more of these factors can cause the new mortar to loose moisture too fast and dry too quickly. First, we replace all bricks that were broken and required a replacement. We lay these bricks back in making sure that every joint all the way around each new brick is full of mortar, from the front of the bricks all the way to the back. This step is essential because any replacement brick must have fresh mortar all the way around just like when they were new. The other joints that have been ground out will have most of the original mortar still in place. We will use a special tool to inject mortar into these areas. It is essential that the new color matched mortar is packed into all voids as densely as possible. We continue with this process in every area that is to be repaired making sure that all voids that require new mortar are filled. Now we are ready to start putting it all back together. First, we make sure we have a sufficient number of bricks that match the existing brickwork to replace all bricks that are to be replaced. 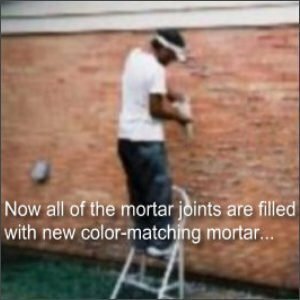 Next, we prepare the replacement color match mortar to fill in all mortar joints and voids created it the previous steps. We use sand that as closely as possible matches the sand in the existing mortar mix, both in texture and color. We then mix a test batch of mortar using one of our existing recipes closest to the existing mortar color. We then dry some of the mortar and compare it to the existing color and make adjustments to the recipe to ensure the closest match that is possible. This extra step is necessary to make the repaired areas virtually impossible to detect after all repairs are complete. Now we replace all the bricks that we have removed in previous steps. We then work our way around the home replacing any mortar joints that were removed. We are careful to make sure that every joint is completely filled. After the new mortar has dried to a point where it will not easily smear, we begin striking the joints to match the existing joints. 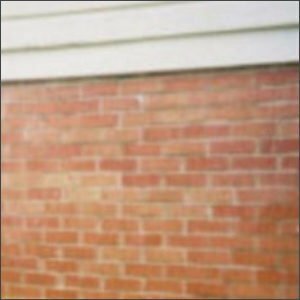 During this process, we are careful to match the existing mortar joints in shape and texture. After striking the joints we will brush all loose mortar from the face of the bricks being careful not to smear the face of the brick with mortar. Once we reach this point we will allow the mortar to dry enough that we can begin the cleaning process. We will use a mild acid and water solution to clean all residual mortar and dust from the surface of the brickwork as well as the exposed surfaces of the mortar joints. This leaves the repaired areas crisp, clean, and virtually undetectable. Once we have completed your repairs it is extremely difficultto identify which areas have been repaired because they will match the existing brickwork so closely. Click the button below to schedule your free inspection and estimate of the cost of repairs. One of our experienced professionals will come out to your property at a time of your choosing.